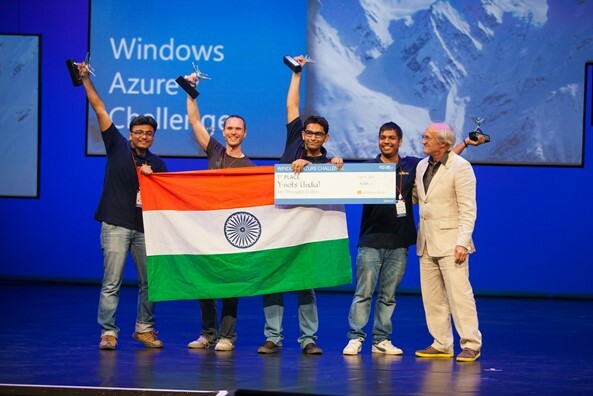 Few days back, Microsoft had announced the winners of the 11th annual Microsoft Imagine Cup Worldwide Finals where the team “Y-Nots” from India has won the First Prize in the Windows Azure Challenge. Not just this, the team also won another award titled “Mail.Ru Group Connected Planet Award” taking the combined prize of $20,000 with additional boost awards. What is Microsoft Imagine Cup? Imagine Cup is one of the world’s premier student competition for creating innovative projects based on a certain theme. The Imagine cup 2013 featured some interesting categories like Innovation, Games and World Citizenship along with other product categories like Windows Azure, Windows Phone and Windows 8 etc. The Indian team’s project for Windows Azure Challenge was Zoik It which is a dynamic and intelligent social networking tool that allows users to connect with people and activities around them in real-time.